Day 8. Colors: What colors represent your baby? Why those colors? 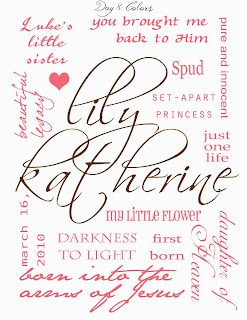 The colors that remind me of Lily are pink, brown, and white. Throughout my pregnancy, my mom and I got so many pink and brown things for her. She wore a pink and brown outfit with a matching blanket when she was born and she was buried in a lovely pink and brown dress. I suppose any "girly" colors can remind me of her. She brought so much color to my world. 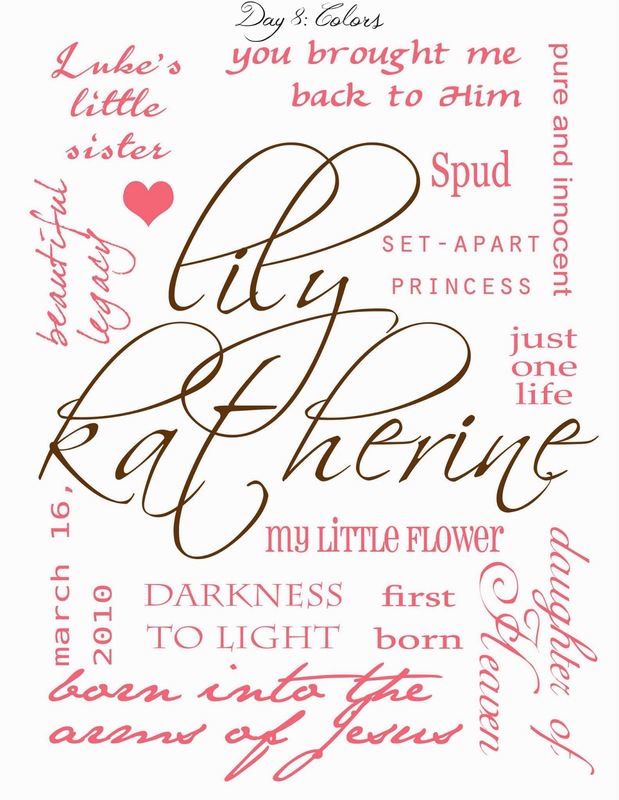 Someone created this beautiful collage of words that describe my Lily girl as a gift.